Cedar on 15 at Impiana KLCC Hotel has plenty to offer; from its strategic location, great view of the city and a contemporary ambiance that isn’t overly rigid. Located on the 15th floor of the hotel, the restaurant offers a view of the city skyline should you opt to sit by the balcony. 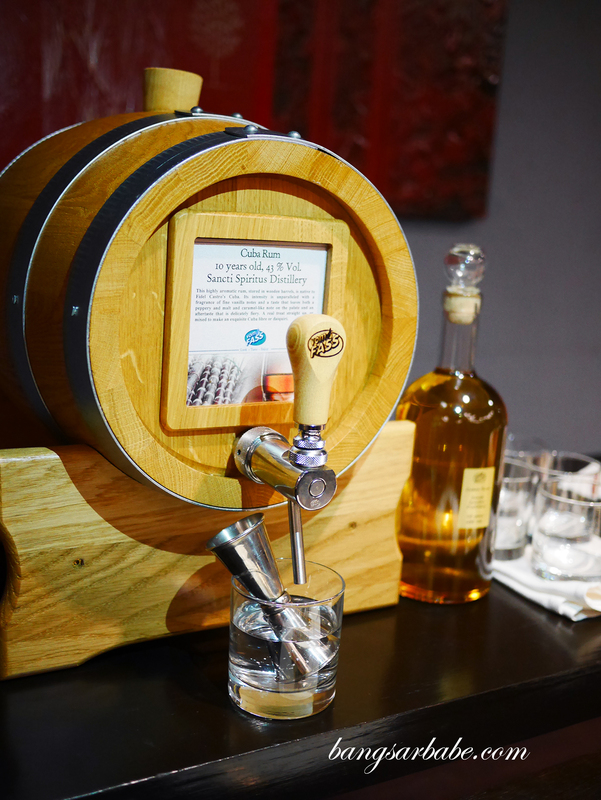 I invited to sample the restaurant’s new menu, paired with specialty oils, vinegars and liquors from Vom Fass. 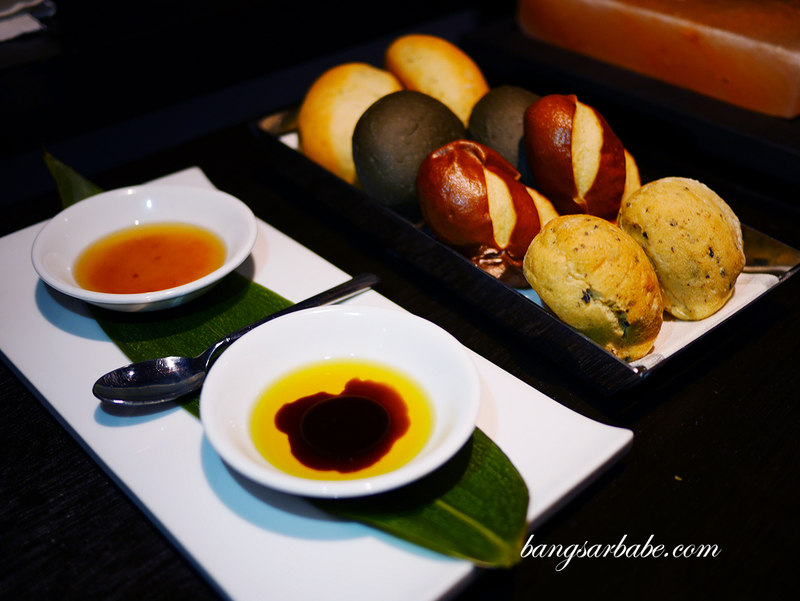 We started off with some freshly baked assorted bread rolls and some walnut oil and balsamic pomegranate vinaigrette to dip. 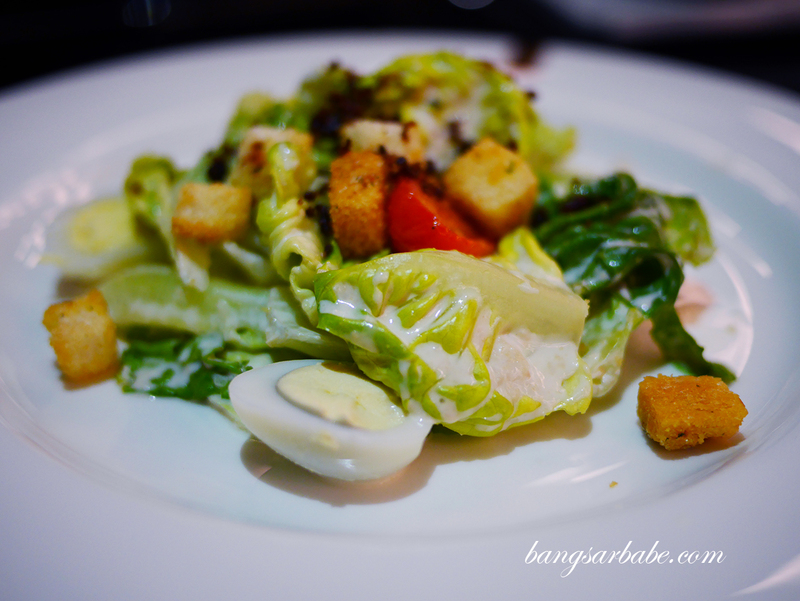 The Caesar salad (RM38) came with a bottle of lemon olive oil, said to give the traditional dish a twist. And it did. The oil’s nutty and tangy notes paired nicely with the dressing and it was interesting to see how the oils change and complement the flavour profiles of the dishes. 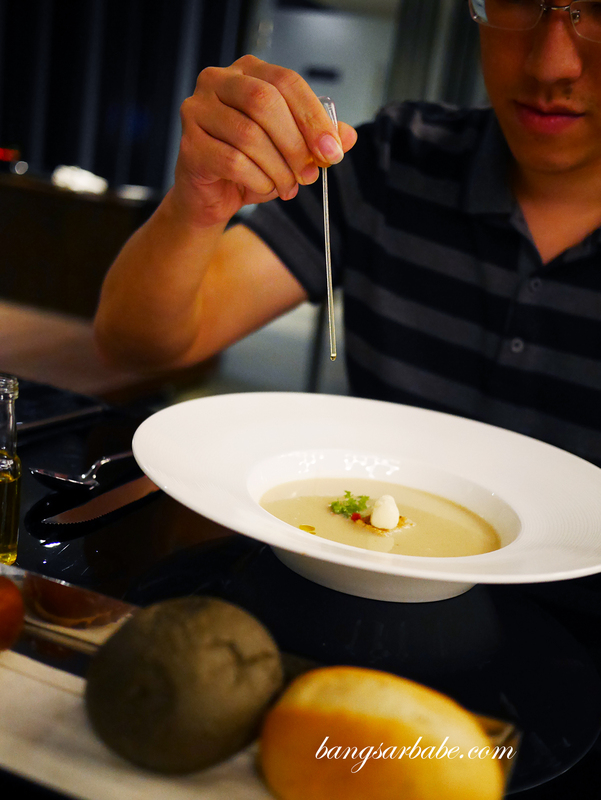 I added a few drops of truffle oil into my soup – Cream of Topin Ambour (RM38) with truffle oil and bocconcini cheese. The truffle oil gave it an earthy aroma and flavour, while I rather enjoyed. 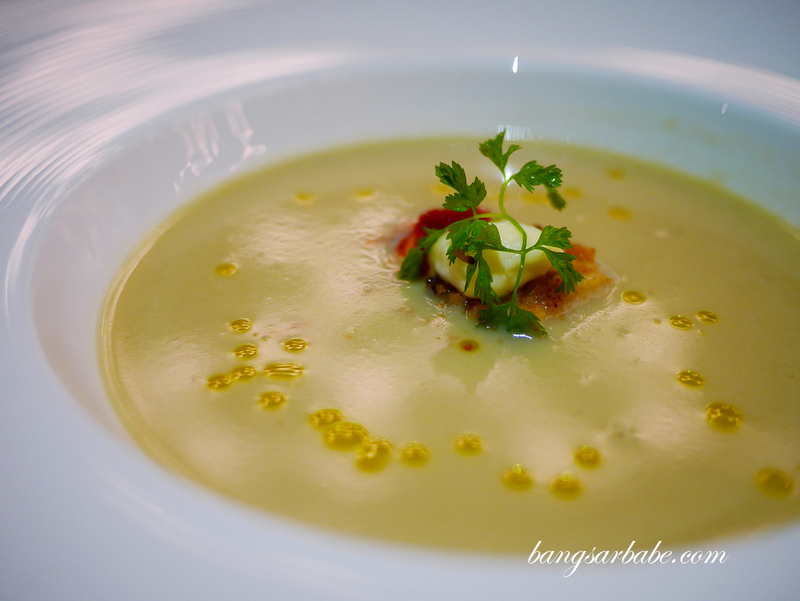 I don’t suggest adding too much oil to the soup for you would still want to savour the taste of the artichoke and cheese. 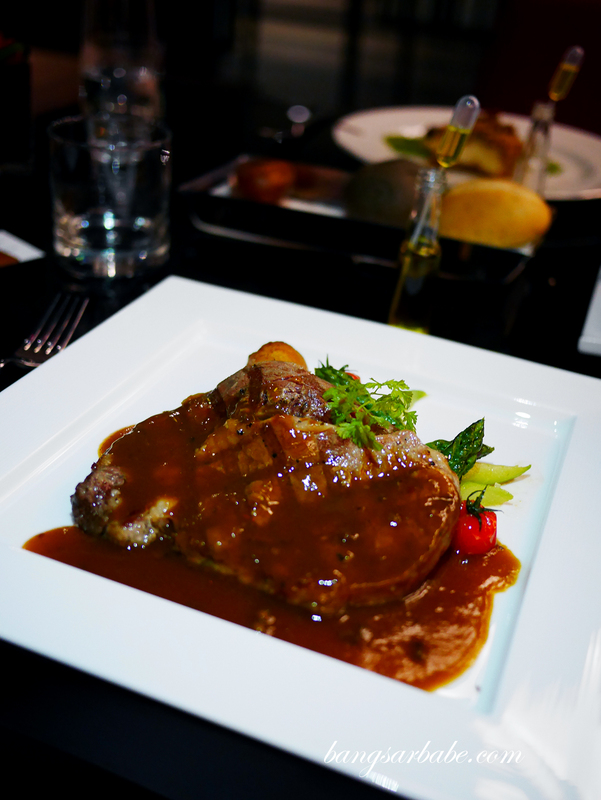 New South Wales Ribeye with buttered asparagus, fondant potato and mushroom sauce. Served with Rosemary Olive Oil on the side. 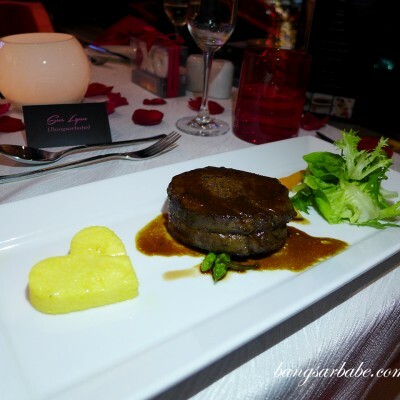 For my main course, I opted for the New South Wales Ribeye (RM69 – 220gm), served with buttered asparagus, fondant potato and mushroom sauce. It was cooked to my preferred doneness (medium) and paired with rosemary olive oil. I thought the mushroom sauce wasn’t needed for this piece of meat – perhaps a beurre blanc might have been better paired with the oil. Pumpkin seed crusted black cod with mushroom tomato chutney and fennel mousse and sugar pea snap. Served with Hazelnut oil on the side. 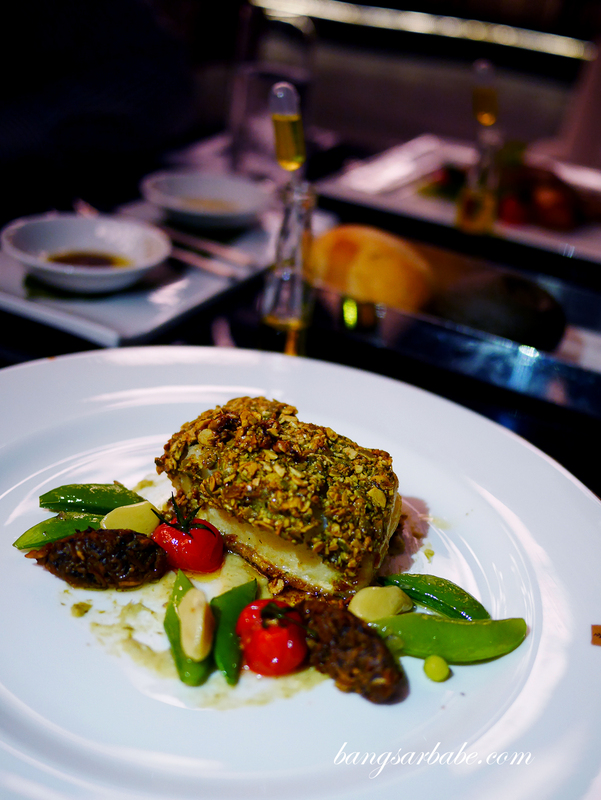 rif’s pumpkin seed crusted black cod (RM78) was well prepared. The fish was cooked just right so the centre was firm and juicy, and the fish retained its flavour. This came with some mushroom tomato chutney, further complemented by drizzles of hazelnut oil. 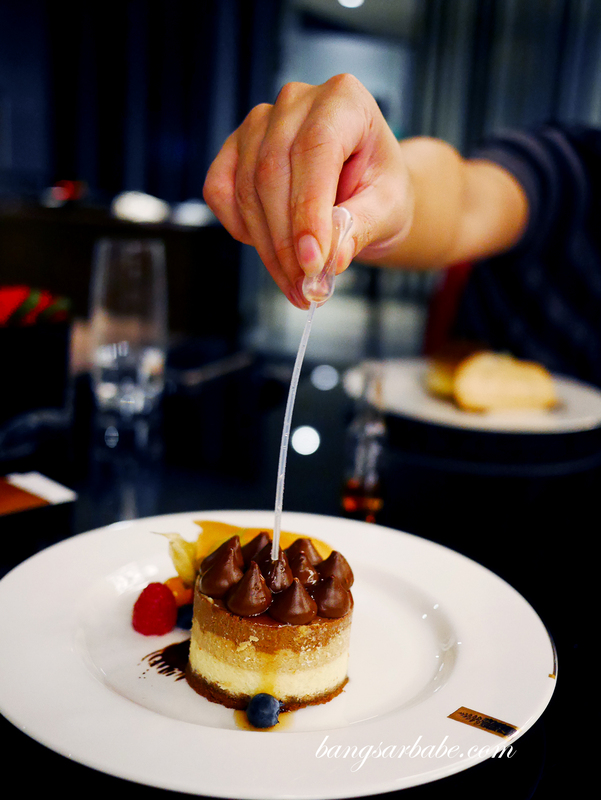 Dessert was a triple layer cheese cake (RM38) served with Amaretto Liquor. Some might find this a bit rich (best to be shared) but I rather enjoyed it. 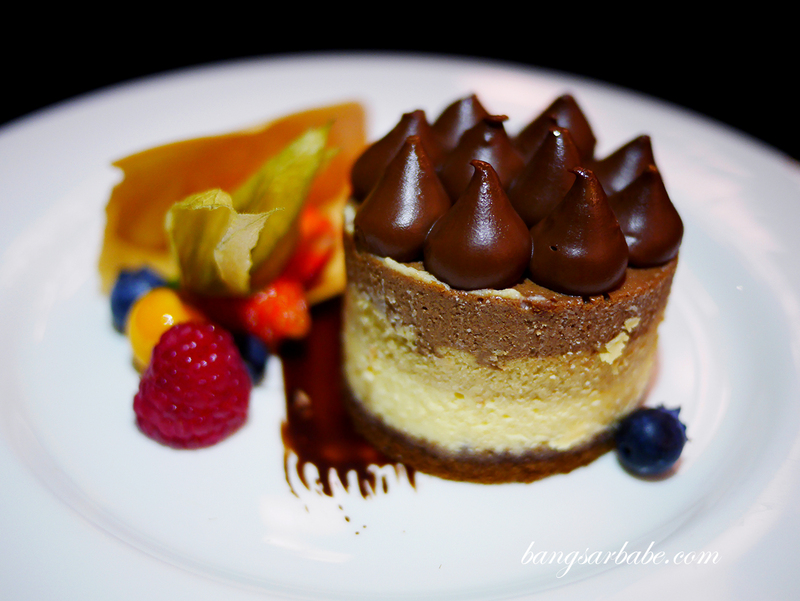 I like to finish my meal heavy so things like cheeses and dense cakes are my thing. 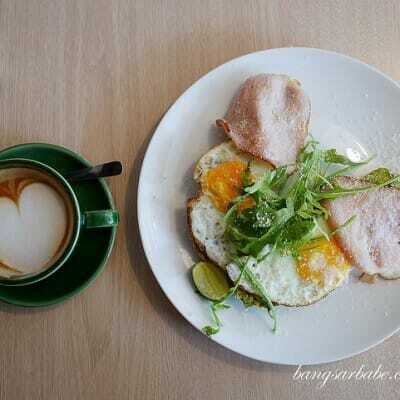 All in, I thought the food at Cedar on 15 was commendable, considering the food quality, portion and pricing. Taking into consideration the location and view, it’s definitely one of the hidden pocket-friendly (somewhat) spots in town. 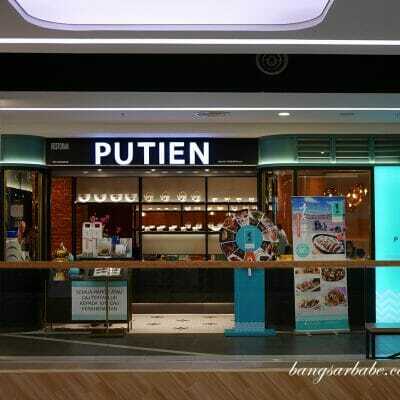 Verdict: Decent food, good ambiance and value for money prices.